Beyond Hi-Aspect Quad (4 fin) sets in Volan glass. Retro fins at their best. 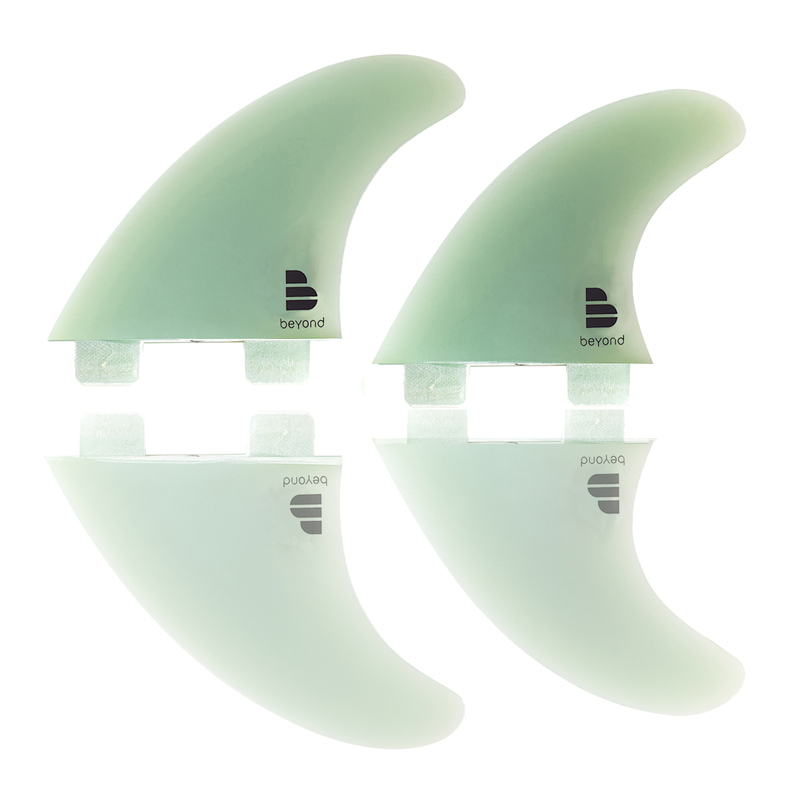 The Most Amazing Beyond® Quad HI-ASPECT (4 fins) in Volan glass – unique, tough, very retro looking. Made with a slightly higher aspect for enhanced drive, but with easy transition if required. Multi layers of Volan in a high quality matrix, foiled to perfection, these stunning and rare fins are a collector’s dream. Part of every quadie’s armoury. Also in Futures base. Look, frankly, apart from our stunning KEEL G10’s these are the pinnacle of quad fin design, form and function. The Most Amazing Beyond® Quad (4 fin) HI-ASPECT in Volan glass for FCS plugs – unique, tough, very retro looking. Made with a slightly higher aspect for enhanced drive, but with easy transition if required. Multi layers of Volan in a high quality matrix, foiled to perfection, these stunning and rare fins are a collector’s dream. Part of every quadie’s armoury. Also in Futures base.